Uhhh, have I already told you my love for all things from Anthropologie?? Well, I'm gonna tell you again how much I love that store because now we can watch their buyer-at-large, Keith Johnson, shop around the globe to find unique and inspiring pieces to sell in that favorite store of mine. 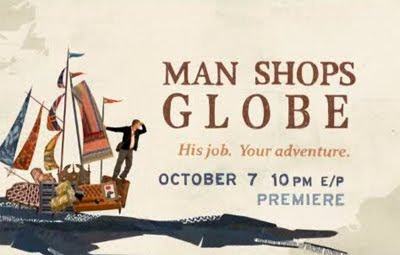 You can watch Man Shops Globe on the Sundance Channel Wednesday nights at 10pm. It premiers tonight so tune in! Ahh I'm so excited about this!